MØ Finds Her Voice On 'Forever Neverland' The Danish singer was launched into the mainstream in 2015, after lending vocals to Major Lazer and DJ Snake's "Lean On," but MØ hits her stride with her new sophomore album. MØ's sophomore album, Forever Neverland, is out now. In the summer of 2015, the song "Lean On" by Major Lazer and DJ Snake was nearly inescapable. The summer anthem, which went to generate over 1 billion streams, featured a relatively unknown Danish artist. It launched singer Karen Marie Aagaard Ørsted Andersen — better known as MØ — into the mainstream. 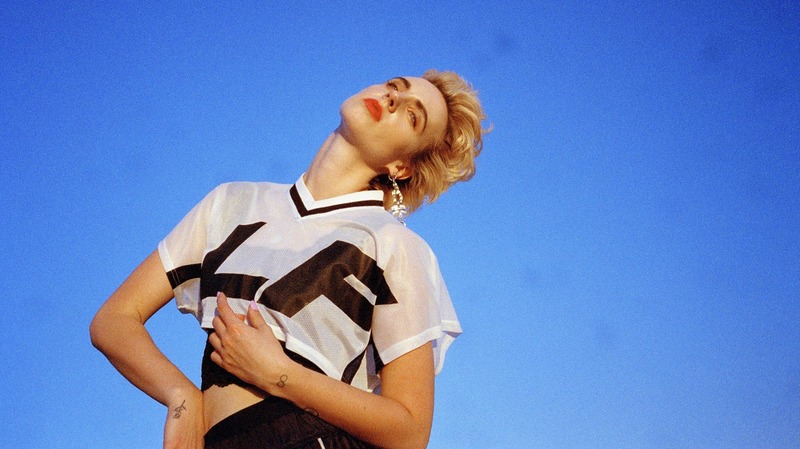 MØ's debut album, No Mythologies to Follow, had been released the year before, but "Lean On" was the push Andersen's music needed to break through. The singer spent the next couple of years touring, writing and recording new music. But the Danish singer says her original musical inspiration came from a somewhat surprising source. "I got into music around the age of eight years old, and I think the reason why was because I discovered the Spice Girls," Andersen says. "I fell in love with them, and it was the first time I ever felt like the music was just directed to me." Andersen says she was happy with her first album, but wanted the second one to "obviously evolve" from there. "I started writing songs for [Forever Neverland] four and a half year ago, but I didn't really know what direction I was going," she says. "I was just starting out, and I moved to LA for a couple of months and starting going into sessions and writing with different people — I guess just in the hope of finding my voice." On Forever Neverland, Andersen's personality and passion shine through. She says transparency is a key part of her songwriting process. "It's always been a mantra to me, when making music or creating art, that you have to be vulnerable," she says. "I guess after the whole success with 'Lean On' — me being introduced into this more mainstream audience — I was a little scared of being my true self, and being vulnerable and being gritty. But it was really nice to get reminded that I should not be afraid."